This article is inspired by Dawa's Live talk show on BBS with three doctors on 27th Sept. I regard the three of them as Angels of Light. In my "Living after Death" I expressed my willingness to donate my body parts after I die, and I meant it. But I wasn't quite sure about which all organs could be of use then, which is why even lungs and brain are in the list. However I am surprised that even the thin watery tissue (called Cornea) over my eye balls could be a life changing donation. It could help a blind see the light of the world. So dear Dr. Gado, please register me as your donor. 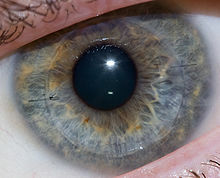 In medical history the first cornea transplant was performed in 1905 by Eduard Zirm, and after 105 year Bhutan is blessed. It is a surgical procedure where a damaged or diseased cornea is replaced by donated corneal tissue. The tissue has to be removed from a recently deceased individual which make it hard to find donors unlike blood. 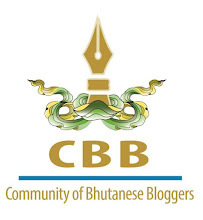 Bhutan is going to have an eye bank by next year where the donated cornea will be stored. But as of now we are getting it from Tilganga Eye Hospital in Nepal and we may have to depend on international donations until we could change the mindset of the people . It is said that many Bhutanese feel if their eye is removed after they die they may be born blind in their next life. But I have never seen any woman giving birth to a piece of charcoal, which ought to be since we are reduced to charcoal after we die. His holiness the Je Khenpo boldly denounced the superstitious beliefs and encouraged organ donation (in his statement to Business Bhutan). As for myself, I am not worried about being born blind in my next life since the eye bank will be waiting. I am so thankful that I lived a complete life and as I go I want someone to see the beautiful world I saw. Long after I said goodbye I would be seeing the world through my donated eye. I want to live after death. This is a very well researched and well thought article indeed! Although, I am still unsure if I am ready to do so, but your article almost immediately convinced and inspired to do that. Yeah, I totally agree as it will be very impractical to depend everything on other countries. Even more so, since now our country is soon going to have our own medical college, it will be (I assume) must to have such facility of their own. Hope more of such awareness programs are conducted in future, and help inspire and change the mindset of the people so that there will be more people stepping up to donate their organs! Thanks for the appreciation and letting me know that I convinced you, I think I should let Dr. Gado know that- he might want to hire me in his champaign! perfect....one..lets join hands and contribute to this means of goodness! This is a very enlightening article. I like your spirit for donation. A very nice way of facing the superstitions. This is amazing! You have the ability to mould text and portray thoughts in a very effective manner sir. "But I have never seen any woman giving birth to a piece of charcoal, which ought to be since we are reduced to charcoal after we die"
We need that kind of attitude to get rid of superstitions. Same problems faced in India!